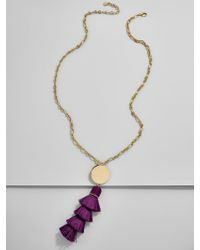 We check over 450 stores daily and we last saw this product for $17 at BaubleBar. 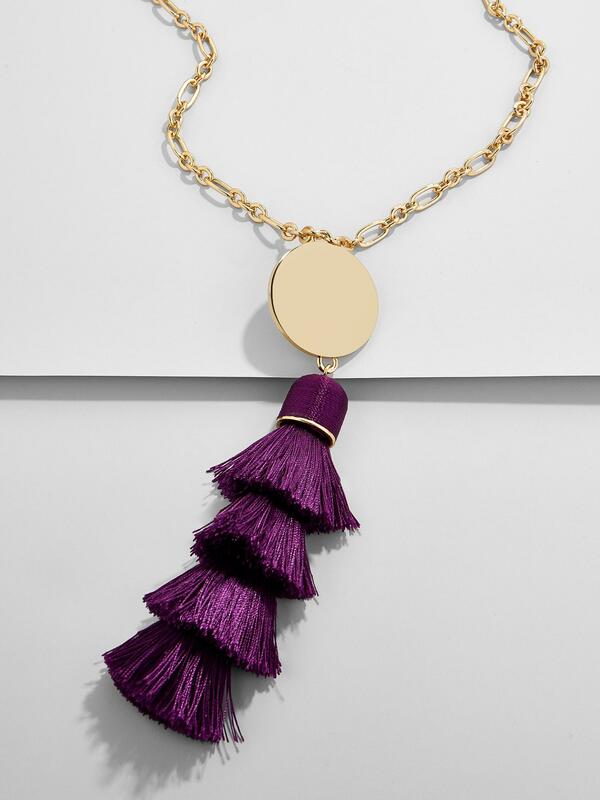 A glint of gold dresses up a cascading tassel pendant. 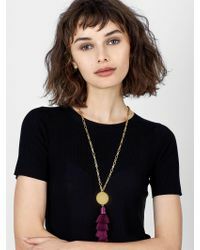 The perfect necklace for everyday and evening attire alike, we think this statement piece looks especially perfect with a deep or open neckline. Pro tip: Because no one likes bent strands, we suggest storing these on a jewellery stand and wrapping for travel. Brass sheet and chain, polyester tassel. Shiny gold plating. Lobster clasp. Hypoallergenic. Length: 29" with 2" ext. Chain width: 0.22" and 5" drop.